New York Trip Summary, and the First Leg to Egypt!!! Well hello friends and family, and you strangers out there who have stumbled across this silly blog. Last week I went to New York to see my friend Kenneth, and to get in as much comedy as I possibly could. It was an unbelievably funny trip, and over the last few days I keep finding myself laughing about all the funny things that I did not expect to have happen. Who would’ve thought that after sleeping outside on the streets of New York City for a ticket for Saturday Night Live, and looking like a bum, that I would walk up to the FoxNews building and make friends with one of the coolest people I’ve met in a long time, Janice Dean (Fox’s head Meteorologist – who actually didn’t say anything about meteors during the broadcast… 😉 ).This trip was really unforgettable. The first thing that I did on my trip was go see “A Gentleman’s Guide to Love and Murder”, which won the Tony for best show this year, and afterward I got to meet Jefferson Mays, and I got his autograph. Apparently some how he was snubbed for the Tony for best performance… Watch this and you’ll see why I say snubbed. The next day I was scheduled to go to a taping of Dr. Oz, but thanks to some poor Apple Maps directions, and a few seemingly oblivious locals I was 4 minutes late and my ticket was given to someone else… I was sad for a few minutes, but if I would have made it to that taping I wouldn’t have had the chance to get in line in time for Saturday Night Live! I had to get in line at about 3:30 PM on Friday, and they gave out the tickets at 7 AM on Saturday morning. After having slept on the street I decided to walk around the Rockefeller Center area to see what was going on. There was a crowd encircling The Today Show crew, so I snapped a couple of pictures, and decided to move on to something else. I walked over by the FOXNews building and I happened to stumble across a small crowd standing outside talking to a reporter of some kind. I ended up finding out that this wasn’t just any reporter, this was Janice Dean (the head weather person for FoxNews)! 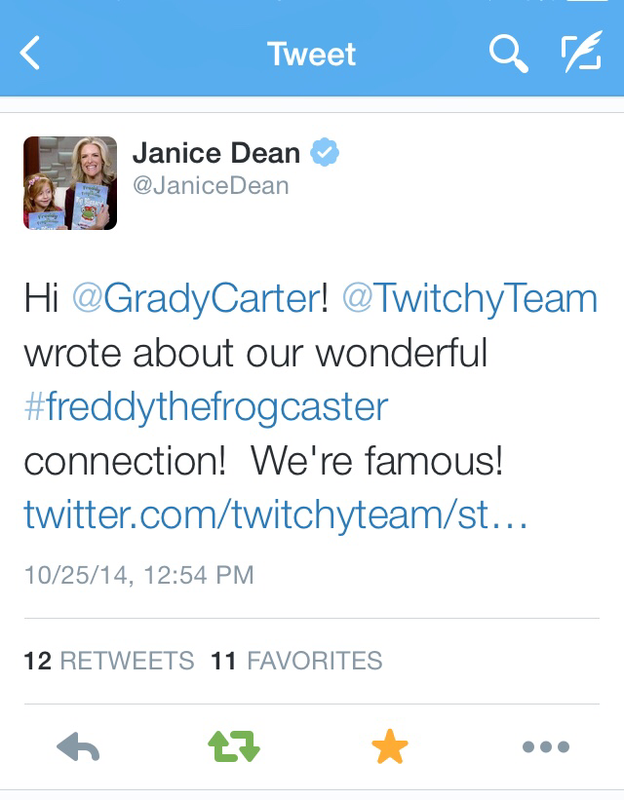 After standing there for a few minutes to see if I could get on Fox and Friends I heard Janice and a few of the people around her talking about her new book “Freddy the Frogcaster”. This might not sound like big news to some of you, but in third grade I was the lead of our play, and my character was Freddy the Frog! I told the old lady next to me about this funny coincidence, and she urged me to tell Janice. Apparently I was taking too long to tell her so she called Janice over so that I could tell her about this. When I told her she got very excited and ran inside to get me a book to autograph! I have my differences with certain aspects of FOXNews, but not with Janice Dean, she was outstandingly nice and professional with even some unsavory passerby’s. After meeting one another we struck up a fun little online friendship that even somehow got picked up by the “twitchy team” on Twitter, which has 170,000 followers! This all made for a very weird story to try to explain to people, but nonetheless it was great. oh, and by the way I totally did sleep outside! So let’s get back to Saturday Night Live. I really did sleep on the street. If you think that you would like to have a similar experience some day I definitely recommend it! I do urgent however to get/take a blowup mattress that self inflates, and does not need to be plugged in. Also make sure that you have sufficient clothing. And maybe the very most important thing to bring his earplugs, the city is loud at night. It was unbelievable how the whole process worked. This line is a standby line, because the season tickets are all divvied up in August. 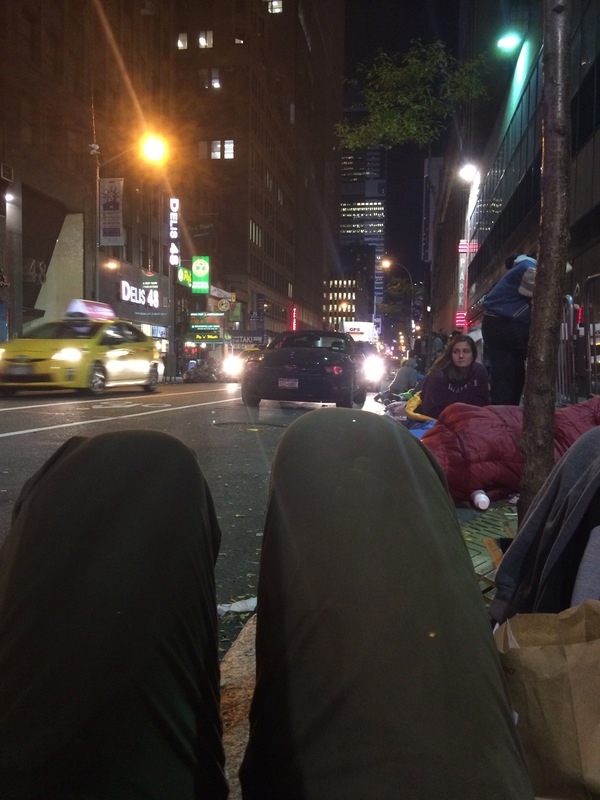 I would have probably wanted to sleep on the street for SNL no matter what, but since the host was Jim Carrey (and he was my childhood idol) there was almost no question that I was going to do it! When they come around the next morning you have to decide whether you want to be in the standby line for the live show, or the standby line for the dress rehearsal. The dress rehearsal has 30 more minutes of skits, and it’s generally considered a safer bet to get to see the show, so I went with a dress rehearsal. I didn’t regret it one bit, and if get to go you should consider doing the same. That whole experience was truly unbelievable, and there’s just too much to say about it for anyone who might be a Saturday night live/comedy fan, so I’ll probably write a post about the whole thing later. My next little adventure within this larger adventure was going to a taping of the Colbert Report! This entire trip was partially spurred on by the fact that the show will be ending soon so that he can take over for David Letterman, and I had to go to a live taping before his character “died”. Mr. Colbert it’s going to have to reintroduce himself to the nation/world once he takes over for Letterman, and I wanted to see him before that happened. After sleeping outside for a ticket to Saturday Night Live showing up to the Colbert Report about five hours early didn’t seem like a very big deal. I got the number 2 ticket, and I was put on the second row right in the middle. Right before the show I got to ask Stephen a question “out of character”, and I asked my standard comedian question of “how old were you when you realize that you were funny?”. His response was something that I had kind of heard before in an interview, he said that when he was a little boy and he wanted to watch Johnny Carson, and his parents would try to make him go to bed, so he would try to be funny and make them laugh, then slowly sit back down beside the couch to where they wouldn’t notice him. He was unbelievably fun and candid with his audience… I really want to be his friend. At one point during the show he was launching bracelets into the crowd, then he slowly pulled out a throwing knife and raised an eyebrow to get some laughs. A little overzealous perhaps I decided to stand up and bend over, close my eyes and open my mouth… He looked at me with a surprised face and then started laughing! I know I was being weird, but it was one of the funniest moments of my life. 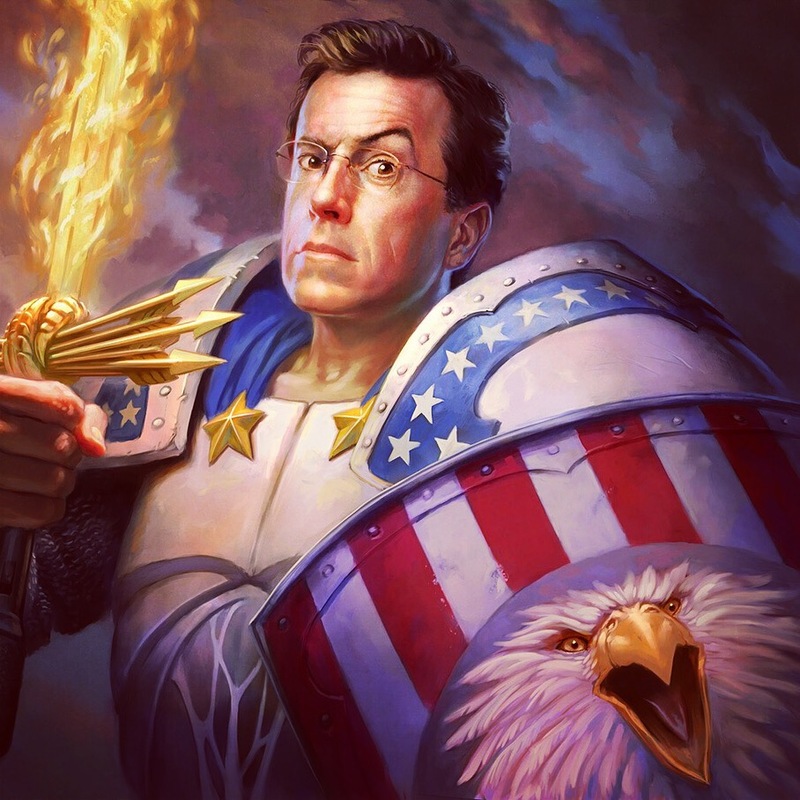 I’m a huge Stephen Colbert fan, maybe mostly for his ability to make us look inward and laugh when it’s uncomfortable. 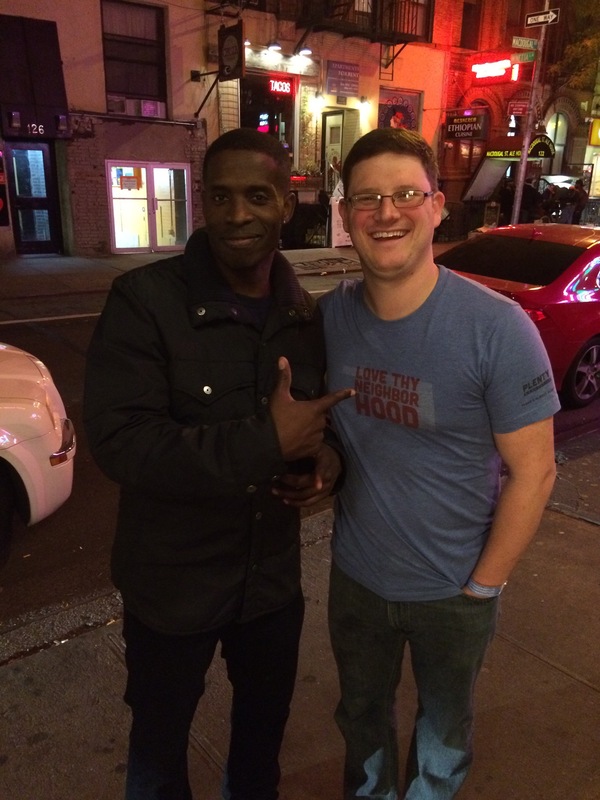 The last very funny thing that happened on this trip was that I decided on my last night but I was going to go to a comedy club, and after getting tricked into going to a very terrible club I ended up finding myself outside of the Comedy Cellar talking with a comedian who I like a lot, Godfrey. He was very nice, and I begged him to come to Oklahoma. He guaranteed me he’d be in Dallas at some point, and that he’d consider coming to Oklahoma City. I want to start a petition to get them here! 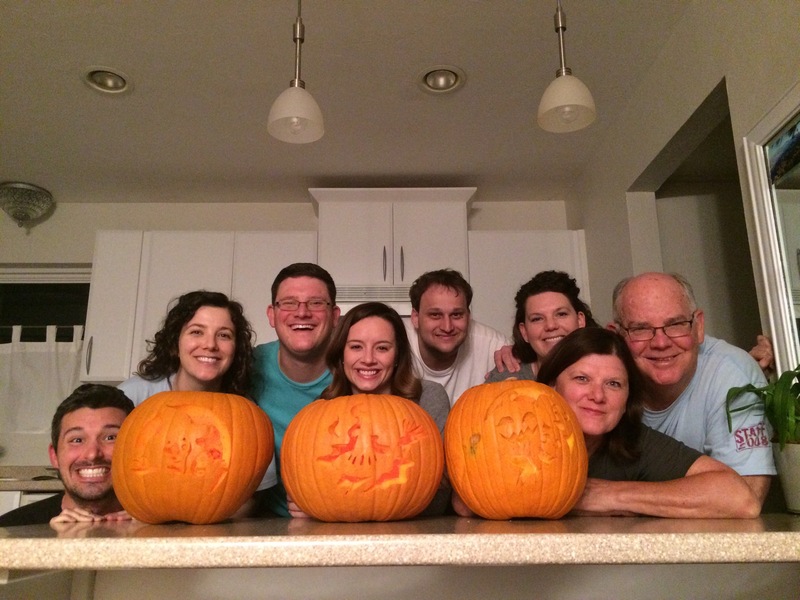 When I got home I had the chance to work on a job that I love, and I got to spend time with loved ones! So that brings me to where I am right now, sitting on an airplane about to fly to Cairo, Egypt with my buddy Gavin to connect with the “old church”, and have a grand adventure!!! I am literally writing this on the plane about to take off… I apologize for any spelling or grammatical errors, I had to dictate most of this on the run. I love you all, and I’ll will be posting from Cairo soon! I don’t know if I could love this anymore than I do… I think that an article like this can serve as a good reminder that nobody deserves a claim to faith over anyone else, as Mr. Colbert would likely be assumed to be an enemy of the Christian population. I don’t think that he is, and I don’t think that he we find himself to be either. When Colbert dares to get real, he’s surprisingly passionate about his beliefs. Next year, when David Letterman signs off as host of The Late Show for the last time, Comedy Central star Stephen Colbert will take over, positioning himself as the new face of CBS late night. Though he’s made a name for himself by creating an over-the-top persona satirizing the hyper-conservative on The Colbert Report, the real Stephen Colbert—the one headed to CBS—is very different from the character he’s created. When he’s not in front of the camera, Colbert is frequently teaching Sunday school, attending mass or spending time with his family, who are all devout Catholics. Here are six times the funnyman got serious about one of his favorite topics: faith. Back in 2012, The New York Times profiled Colbert, who reveal details about the man behind the persona. Stephen Colbert is not a fan of Bart Ehrman. The religious scholar came on The Colbert Report to promote his book Jesus, Interrupted which questions the credibility of the Gospel and the divinity of Christ Himself. It got brutal. For nearly 7 minutes, Colbert deftly explained seeming contradictions in the New Testament, showed how Scripture supports Christ’s divinity and intellectually embarrassed the scholar in Zimbardo fashion. You can watch the entire exchange here. In 2012, Stephen Colbert took part in an event called “The Cardinal and Colbert: Humor, Joy and the Spiritual Life” at Fordham University. Moderated by Rev. James Martin—Jesuit and priest and author—the event featured a light-hearted, but intelligent conversation about faith and humor between Colbert and Cardinal Timothy M. Dolan of New York. Though much of his testimony before Congress—advocating for immigration reform and farm workers—was played for poignant laughs (“Like most members of Congress, I haven’t read [the bill]”), Colbert also used a another strategy to get his message across—quoting Scripture. Wow… There are those moments in entertainment that can really make you pause for a moment to consider generations passed, and generations to come. The retirement of David Letterman was one of those moments for me. I have always enjoyed his show, mostly for the interviews that were so uncanny. Having had the chance to talk with him, and being on his show for a split second, he will be burned into my story ever so slightly. I posted about this when it happened, but I will be including the video and the post from when I was on his show for a moment in time. 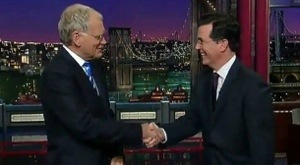 How David Letterman And I Became Best Friends… Ok, We Just Met. If you’d like to see the whole post from right after I got to meet Dave, click the link RIGHT HERE. 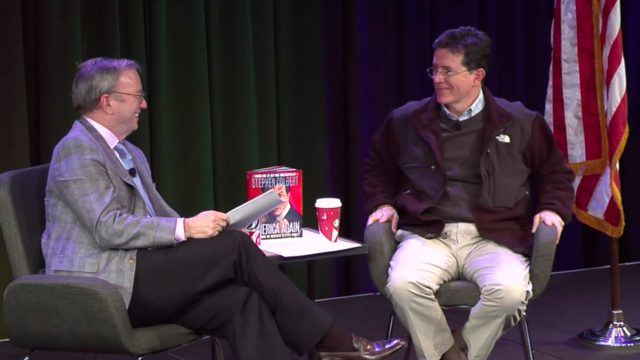 Stephen Colbert on MSNBC’s Morning Joe – YouTube. Gosh, I could watch this a dozen times. 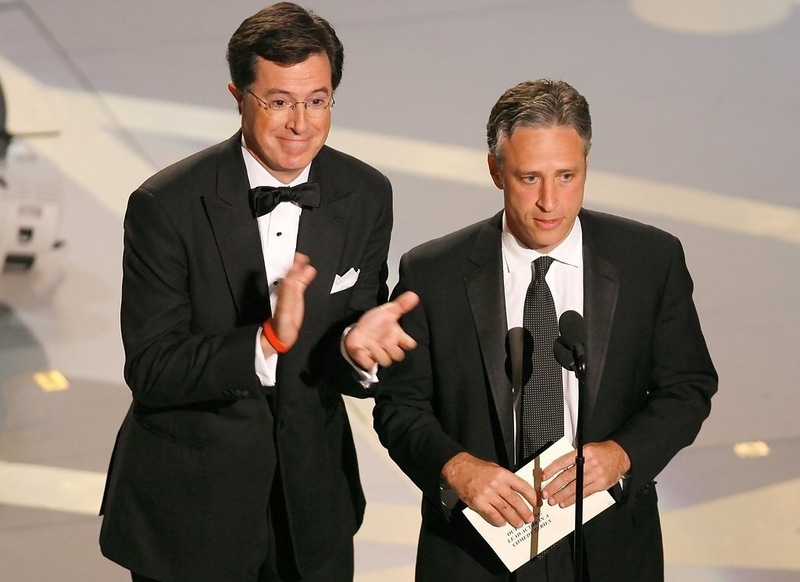 Connecting Reality TV to the industrialized news that we get each day is pretty outstanding… Incase you forgot how great Stewart and Colbert are here is a reminder. On January 16, 2013 I had a ticket to attend The Colbert Report, and Stephen Colbert being one of my heroes I was completely ecstatic… I also somehow got a ticket at the last minute to go to a taping of Late Night with David Letterman, who is another one of my heroes, on the same night… Unbelievable I know! Well, Letterman tapes just before Colbert so I attempted to go to both, and sprint several blocks through New York City traffic to pull it off. On my voyage there were some exceptional highs, and surprising lows. I ended up getting to talk to David Letterman before the show, and he referenced me/my home town on the show, putting my face on TV. It was completely surreal, and whenever I play 2 truths and I lie from now on that will be one of my amazing truths. After leaving The Ed Sullivan theater (where the Beatles were first introduced to The United States!) I sprinted as fast as I could and was checked into the line to enter Mr. Colbert’s show. After talking with other patrons for about 10 minutes about how this was the best night of my life a few of us at the end of the line were approached by a nice young lady with an iPad who told us that they overbook to ensure a full audience, and that we would not be attending that nights show… It was tough news, and I was mildly devastated and simultaneously still elated from my Letterman experience. They promised me tickets for the next time I would be in town (hopefully soon), and I went on my way. I admire Stephen Colbert (the man, not the character) a great deal, and I can’t wait until the day when I hopefully get to meet him. Until then I’ll just have to watch YouTube videos like this. I really love watching him break character. I don’t usually buy these history/satire books because I have a hard enough time following along when I’m reading for fun with less challenging material, but I plan to buy this book after hearing this talk. At this point I’m only debating between getting it on my kindle or getting a real book… I just don’t know if it is designed to sit down and just read straight through. Either way I’m buying it, and if you’ve already read the book I’d love to hear what you think. 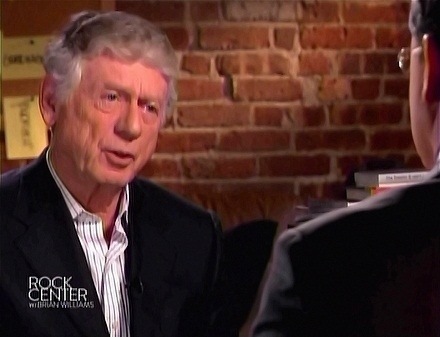 Rock Center with Brian Williams | Stephen Colbert interviewed by Ted Koppel – YouTube. Stephen Colbert really is an amazing guy… I appreciate the way that he engages people who would otherwise be so disinterested in politics and current events. I hope you enjoy the interview. Stephen Colbert 2011 Commencement Speech at Northwestern University – YouTube. This speech is seriously amazing… This is exactly what I would want my commencement speech to be like. Neil Degrasse Tyson on Congress: "Where is the Rest of Life?"